It’s the question that is always on our minds – which pokies are the best to play online? There are so many of them on offer, and it’s so hard to classify them all, and even try them all out. But, there is one objective parameter we all can use. The payouts or as it’s usually called – RTP. So we’ve done some research of our own and this is what came out of it – list of 7 best online pokies with the highest winning odds! Enjoy! You can’t really make out the slot theme judging by the title. Is it a vampire slot? Nope. After Night Falls takes on the theme of the clumsy thief hunt and it was made by Betsoft. 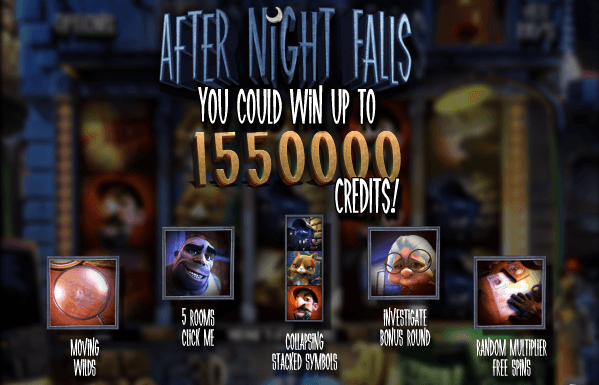 As one of the 3D video slots by the prolific slot developer, After Night Falls offers amazing graphics and an impressive settings and character design. This is not a CSI crime/detective story, it more of a Pink Panther narrative told by symbols such as the magnifying glass, the cat, jewelry, security camera and so on. The game adopts a 5-reel, 30-line format and offers super fun features such as the Moving Wilds, the Double Up feature, the Stacked Collapsing Wilds, the Granny Bonus round and free spins. Hawaii Cocktails pokie came out of the Soft Swiss oven, and it’s all about the golden sun rays, the mild sea-breeze and refreshing beverages that look and taste like they’ve come down from warm and fuzzy heaven. 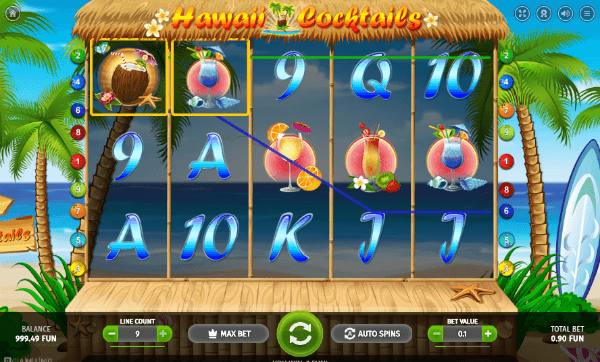 Hawaii Cocktails has 5 reels and 9 paying lines, superb sound effects and a rather colorful graphics. 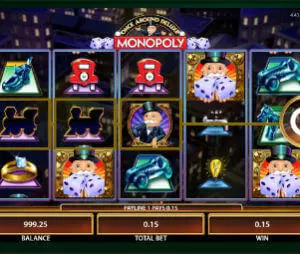 It is a ‘penny slot, a slot machines designed to suit gamers with limited budgets and spinners who don’t want to be fazed by a game, especially if they are beginners. A coconut is the Wild, and it offers the top paying symbol combination for 5 of a kind awarding 50,000x your line bet. Win special 10 Cocktail Only Free Spins and say aloha to exotic riches. 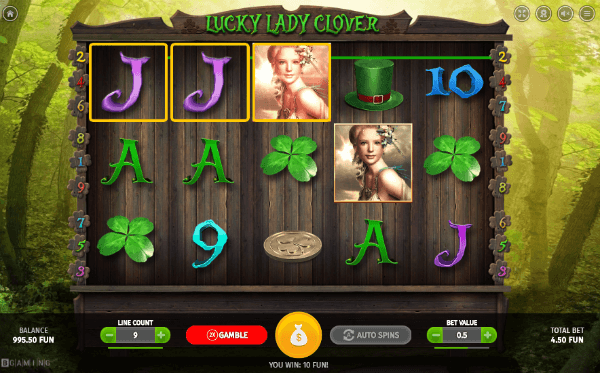 Lucky Lady’s Clover is not just another Irish pokie, it is much more than that. Made by Soft Swiss, Lucky Lady’s Clover was inspired by Celtic fairies. In order to win in this charming 5-reel, 9-line video slot, you ought to believe in true Irish luck. Pay attention to the Lady Luck Wild and the Leprechaun’s Hat Scatter; all wins are doubled when the Wild becomes part of the winning combo, and you need 3 Scatters to trigger freebies. With as much as 15 free spins and tripled wins throughout the round, you’ll experience the generosity of Irish folklore and culture. Lucky Lady’s Clover has a flattering RT of 97.3% taking you straight towards the end of the rainbow. 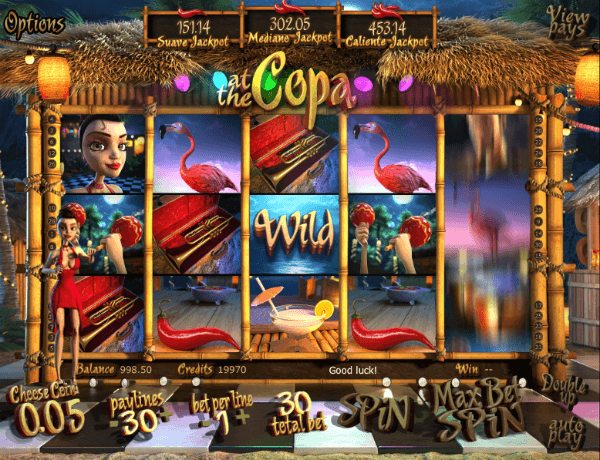 At the Copa is one of top 3D slots developed by Betsoft and it refers to the fictional Copacabana, a place of dance, celebration of life and the Havana-style fiesta. At the Copa features amazing music and animation work, as well as attractive symbols and characters. Step onto the dance floor and spin the reels for some Expanding Wilds, free spins and bonuses, not to mention three progressive jackpots! Landing the Wild on the center position on reel 3 makes it expand and cover the entire column, free spins come with extra Wilds and the progressives can be won with five chilli Scatter and maximum bet. Whether you hit the Suave Jackpot, the Mediano Jackpot or the Caliente Jackpot it will be a great occasion to bust out the maracas, for sure. 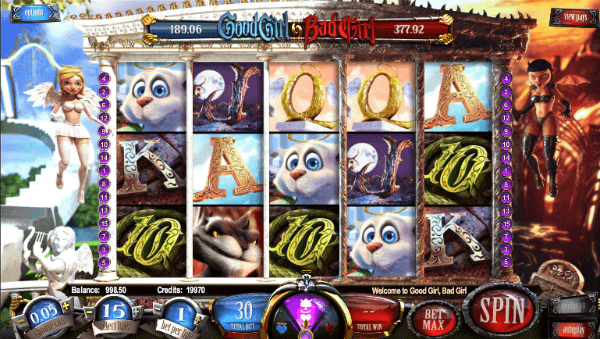 In case you’re looking for something irresistible and captivating, then Betsoft’s Good Girl Bad Girl pokie is just the right choice. It is a 5-reel, 3-row, 15-payline video slot with 3D graphics and a pair of hostesses, each on her side of the screen, floating in 3D rendering. Good Girl Bad Girl can be played in two modes: you can choose to side with the Good Girl and receive more frequent, small payouts or you can go over to the dark side and have the Bad Girl award you with larger but fewer wins in the high-variance-play mode. The symbols are fitting to the theme: you can see the full moon and a pitchfork on screen, but you can also see a fluffy, harmless kitten and a halo on the reels. Good or bad, there are 3 bonus features to enjoy; try your luck on the Money Wheel and win cash or free spins, choose wisely in the pick-me bonus and, finally, gamble your wins to fully experience heaven and hell through Betsoft’s vision. Created and launched by Rival Gaming, Rock On is dedicated to all the fans of the hard sound among gamers. The game has 20 paying lines and 5 reels and a cartoonish design which slightly reminds us of graffiti- it’s all about the rebels! 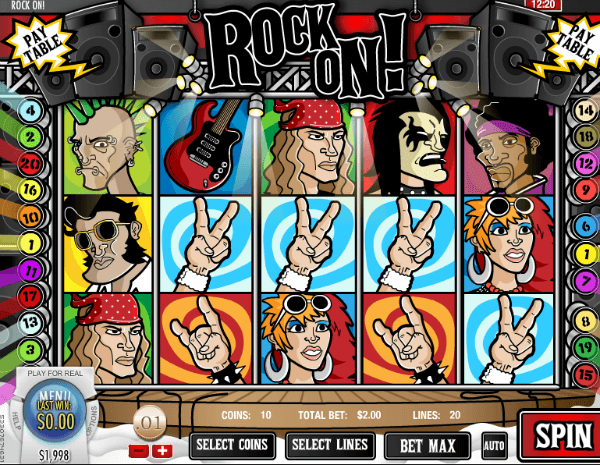 Each character that appears on screen is designed to look like a rock legend; there’s Jimi Hendrix, Axl Rose, Elvis Presley, Paul McCartney and some punk and Kiss fans featured in the paytable as well as electric guitars and drum sets. The music is by no means classic piano – it’s shredding guitars and pounding drums all the way. If you get 3 of Elvis symbols anywhere on the reels you trigger an unusual bonus; you’ll get a guitar pick and you’ll need to pluck the strings to the notes of a different song every time to win as much cash as possible. The Encore Free Spins Bonus is activated by 3 or more drum kits; in this feature, the player gets 5 freebies with expanding Wilds and 5x multipliers. Rock out and rock on until you tune your performance to perfection! 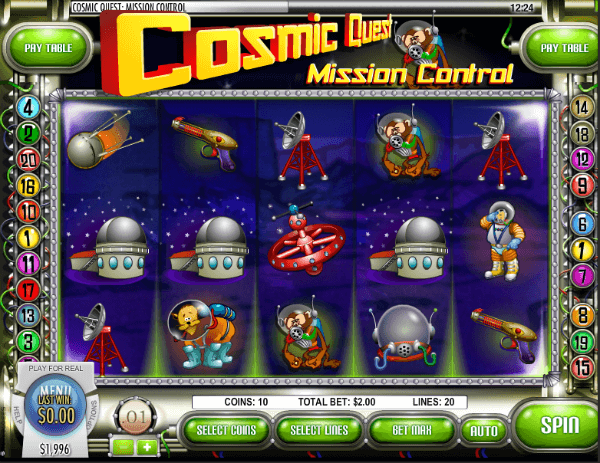 #1 on our list of Best Online Pokies: Rival’s Cosmic Quest slot machine is themed on space exploration and it’s subtitled ‘Mission Control’. The game’s best qualities are a charming design and entertaining features. The cosmic quest starts across 5 reels of theme related symbols and 20 paying lines. Line up quirky symbols such as food tubes, satellite dishes, astronauts, space dogs, space stations, and ray guns to form winning combos, and pay special attentions to the Bonus Pink Pilot symbol, the Scatter Monkey and the Wild Rocket Ride. The Scatter Monkey awards the player with 10 freebies with expanding Wilds and the Pink Pilot will lead you into a 1980’s style arcade round where you get to destroy asteroids and stack up wins. Enjoy Cosmic Quest at Rival-powered casinos and hit the heights you’ve never reached before. Check our list of Best Australia Online Casinos for more info.